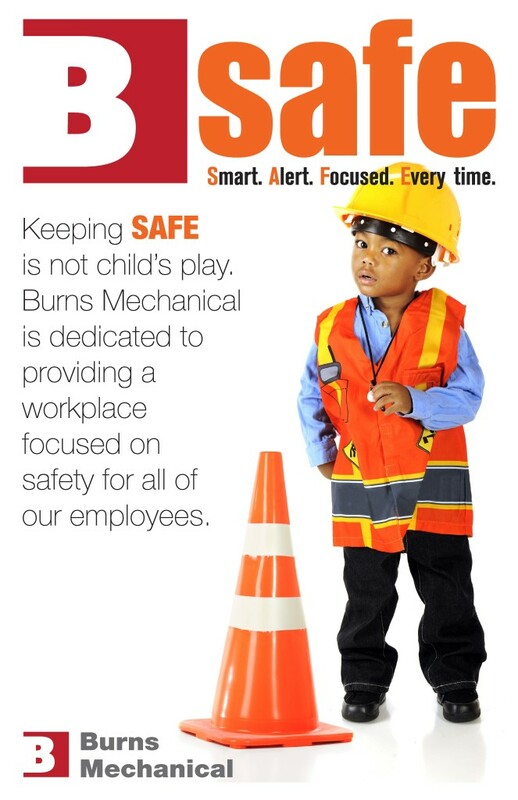 At Burns Mechanical, safety is our number one priority. We ask all employees to follow the “B-S.A.F.E.” objective: “Burns – Smart, Alert, Focused, Every time.” We’re dedicated to achieving a zero-injury workplace because the safety and well-being of our employees is the highest priority. We intend for every person to be as safe and healthy at the end of the work day as when they arrived. Every employee has Stop Work Authority or the responsibility to stop work when a perceived unsafe condition or behavior is observed.